This entry was posted on 2015/10/29 by Robin. 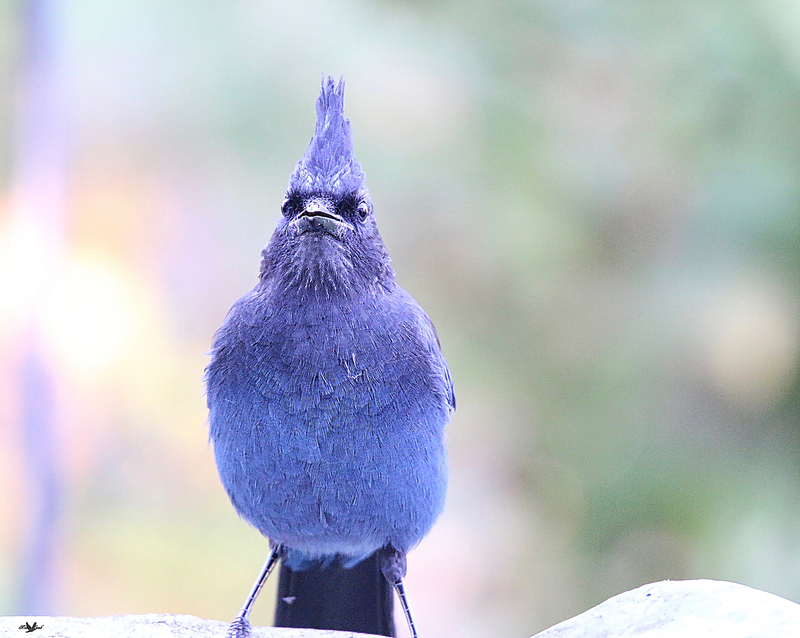 It was filed under Birds and was tagged with Aldergrove, B.C., Backyard, Bird Bath, Jay, Stellar's Jay. Nice little bird, excellent image. I miss the Steller’s and their personalities..of course I do have the Magpies that make up for it. Robbie, thanks! Yes, the Magpies are rascals too!